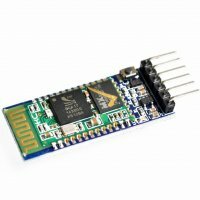 HC-05 module is an easy to use Bluetooth SPP (Serial Port Protocol) module, with DB9 Female UART Connector, 5v to 12v AC/DC power, External 3.3v Supply (Optional), TTL interface, Paired LED Indicator, Work Mode LED Indicator, Power Indicator and Slide switch to switch between, Communication mode and AT Mode. designed for transparent wireless serial connection setup. 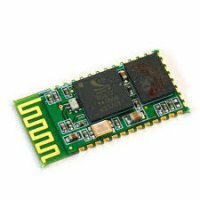 Serial port Bluetooth module is fully qualified Bluetooth V2.0+EDR Enhanced Data Rate) 3Mbps Modulation with complete 2.4GHz radio ransceiver and baseband. 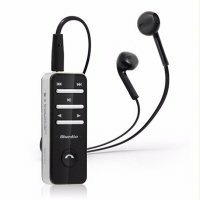 It uses CSR Bluecore 04-External single chip Bluetooth system with CMOS technology and with AFH(Adaptive Frequency opping Feature). 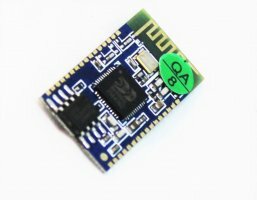 Hardware features: Typical -80dBm sensitivity Up to +4dBm RF transmit power Low Power 1.8V Operation ,1.8 to 3.6V I/O PIO control UART interface with programmable baud rate With integrated antenna With edge connector. Software features: Default Baud rate: 38400, Data bits:8, Stop bit:1,Parity:No parity, Data control: has. Supported baud rate: 9600,19200,38400,57600,115200,230400,460800. Given a rising pulse in PIO0, device will be disconnected. Status instruction port PIO1: low-disconnected, high-connected; PIO10 and PIO11 can be connected to red and blue led separately. When master and slave are paired, red and blue led blinks 1time/2s in interval, while disconnected only blue led blinks 2times/s. 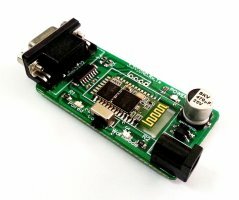 Auto-connect to the last device on power as default. Permit pairing device to connect as default. Auto-pairing PINCODE:?0000? as default Auto-reconnect in 30 min when disconnected as a result of beyond the range of connection. Ultra-low standby power consumption 90 uA ~ 400uA Ultra-long distance connections of 100 ft / 60 m Fast response speed of 0.4 seconds Android, Apple, PC, MAC full general. 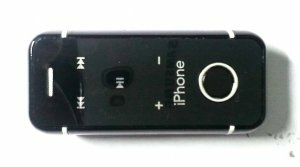 Receive no byte limit, up to 3K Bytes / sec Do not do MFI IOS system perfect support. Android 4.3 system perfect support. 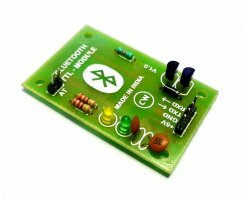 From one master module, with transparent transmission, remote control, PIO capture three functions, and switch settings AT command set, and you previously used a Bluetooth serial module as easily without changing the PCB and lower computer program upgrade to Bluetooth 4.0!